Sebastiaan and I moved to Curacao in 2007 without ever visiting. We sold all our stuff and thought we could always go back if it didn’t turn out the way we hoped. 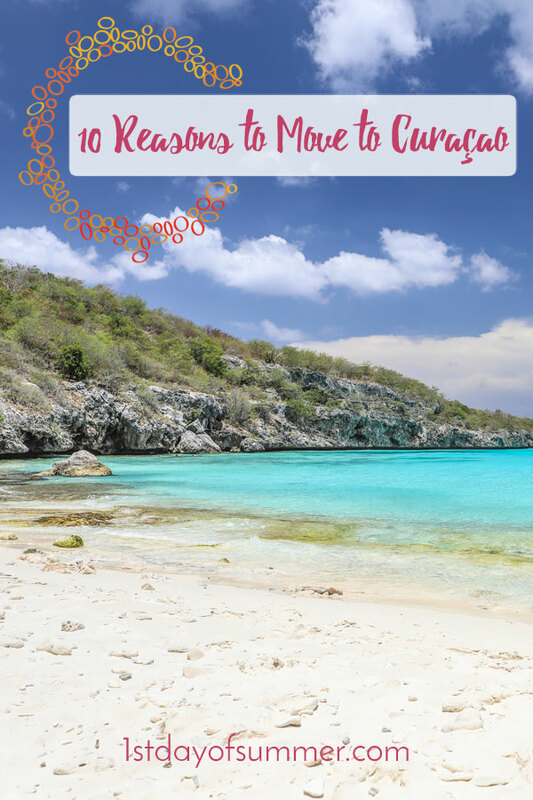 We spent a total of 10 years and we can recommend it anyone who is doubting about Curacao. I love the summertime. And I do think I have never met anybody who preferred the winter and rain over sun and beach. Spending your days outside in nature or swim in the ocean, and lay on the beach just feels amazing. 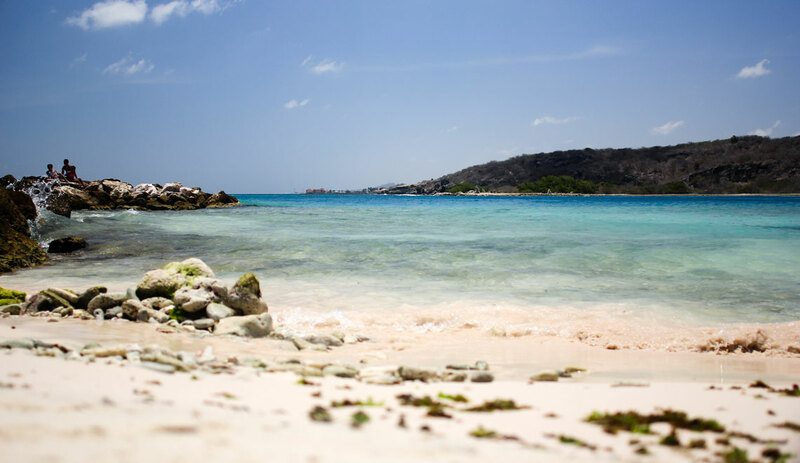 Unlike any European destination, Curacao has a year-round tropical climate. It is always sunny and warm. The temperature is consistent and it never is extremely hot or cold. 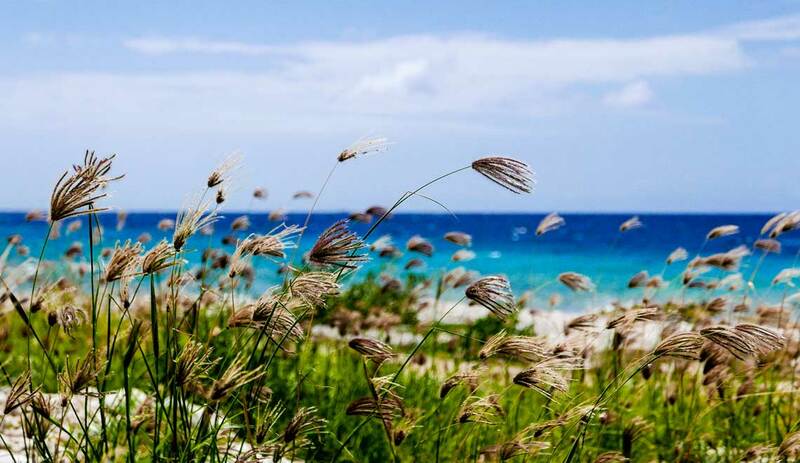 The Trade Winds are a natural air conditioner and make it such a pleasant place. One other benefit: you never have to check the weather about what to wear. Ask anyone on the island: the weekends are the best! Every other weekend feels like you are on a 2 day holiday. Friday is the happy day for most of the people on the island. People gather at one of the Happy Hours and celebrate the start of the weekend. Most of the weekends are spent outside; at the beach BBQ-ing with friends, diving into the beautiful underwater world, cruising down to Westpunt or a boat ride on the clear blue waters. The very same things the tourist do, but then without any hustle of arranging a tour. It is pretty easy to forget your stressful work week. 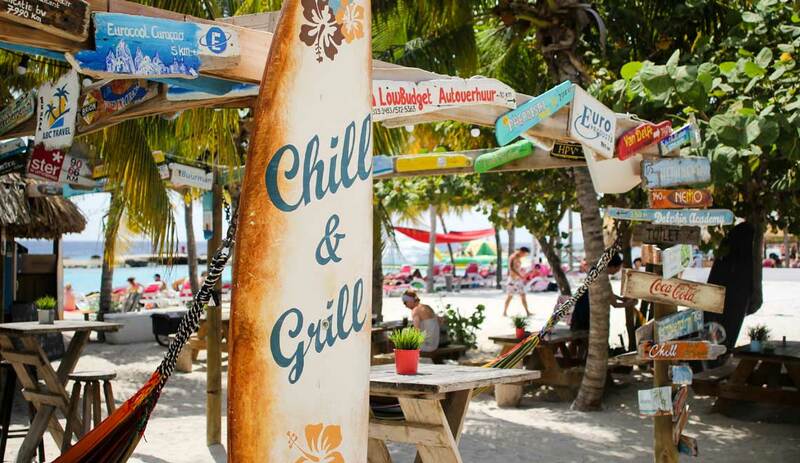 Weekends in Curacao are the best way to regenerate and relax to start the next week. Curacao is a country within the Kingdom of the Netherlands. You notice the Dutch influences everywhere. For the Dutchies, you do not have to miss your most favorite Dutch snacks. All your guilty pleasures like the Friettent (snack bar) are here. There even is the Dutch Supermarket the “Albert Heijn’! You never have to miss a ‘broodje hagelslag’ or the yummy ‘stroopwafels’, and even ‘herring’, ‘oliebollen’ or ‘rookworst’ is a normal treat in Curacao. A lot of US brands are available as well so no worries if you can’t make any sense of our strange habits. It is not necessary to leave the island to get any of your favorite things. Curacao has developed a lot over the years. However, the island is progressing, and there still is a shortage of educated employees. Most of the students go abroad to complete their study and they usually do not come back. We call this the brain drain. This does create opportunities for foreigners. If you set your mind to what you want to achieve, and you are willing to work hard (yes work hard) you could be everything you want to. The island is small and because of you effort you will get noticed sooner and you can reach the top in less amount of time. 5. What sounds better: tropical villa or city apartment? So, island life is not for everybody. If you are reading this, and you love city life, you probably will not like to trade in your small downtown apartment. 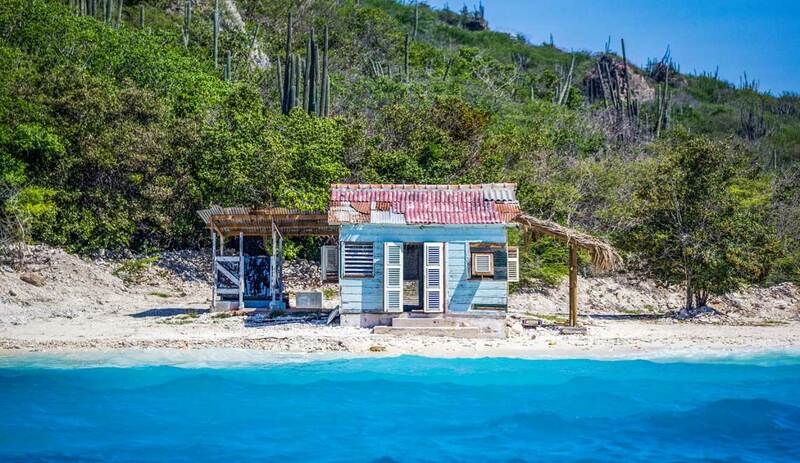 For all the others that think the tropical villa sounds more appealing, Curacao might be the place. 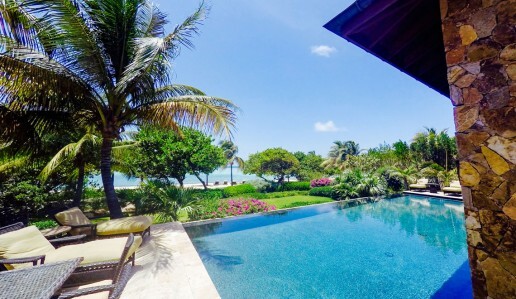 In Curacao, you can own your own little piece of paradise just a couple of minutes from the beach. with lots of space and a big garden and a swimming pool. Most people would pay to go on a holiday like a lot of people live in Curacao. Of course, there are many differences between houses, locations, price points etc. And if you decide to buy a house, don’t make these mistakes. The first couple of years in Curacao, you probably don’t feel it is necessary to go on a vacation. There is a lot to explore on the island. It will take more time than just the regular 2-week vacation if you want to do everything Curacao has to offer. We lived there for 10 years and were still discovering new places, beaches, and activities. The other great thing is, that when you do you on a vacation and return to Curacao, you are not bummed you as you go back to paradise! It can be hard making a move like this if you are doubting the healthcare system. Countries like the Netherlands have a pretty great health system. 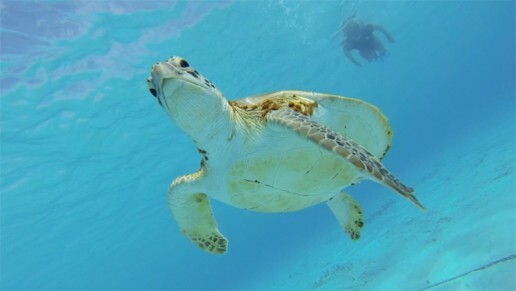 Even though the facilities in Curacao are not the best, the specialists and doctors seem more involved in getting to the bottom of something. And if a certain specialism is not available on the island, they often make sure you can get help abroad, like in Colombia (one of the best in the world) and the Netherlands. The hospital here is old but they are building a completely new one which meets all the standards you are used to. Nurses, doctors, specialist are nice and so invested in taking care of you. 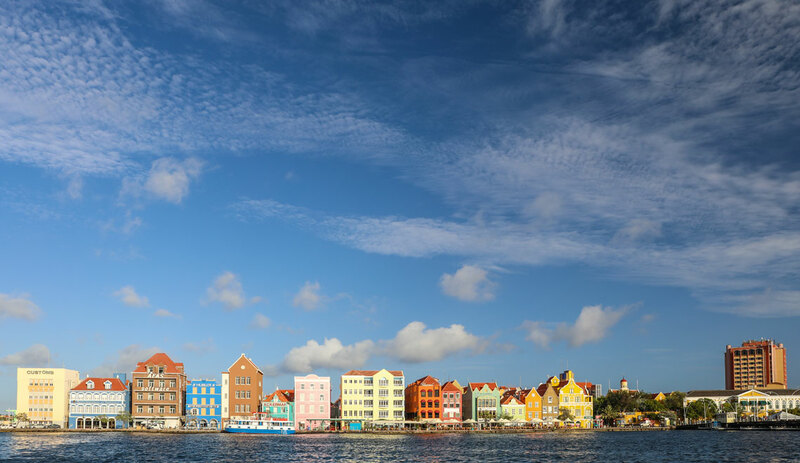 Another benefit of Curacao is that your health expenses in most cases are paid for. Costs depend on your income but you can upgrade, if necessary. Are you afraid you will miss out on great artists or concerts? Curacao is a vibrant island with a lot of party organizers. Yearly, some of the biggest names come to the island for jazz, blues, and even rock festivals. If you are more into EDM; the greatest DJ in the world like Hardwell, Afrojack, DJ Chuckie are regular guests of our island. The perfect bonus is that all festivals are outdoors! Interested in art and culture? Curacao won’t disappoint. Visit one of the many landmarks, museums, forts, galleries, country houses and other historical sites. You can learn more about the rich history of the island. for the sports-lovers: there are a lot of competitions to see. For the athletes: name a sport and you can do it. Doesn’t it sound fun to do a workout on the beach during a game of beach tennis? 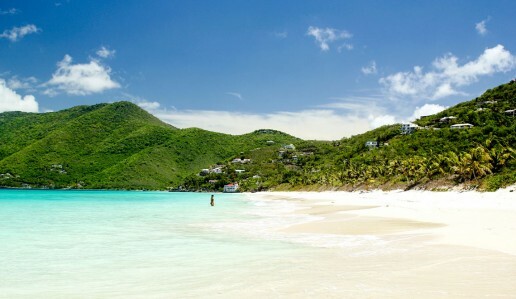 Or go for any watersport like windsurfing or paddle boarding in the warm clear water. The hardest part of moving away from home is to leave all your friends and family behind. To start over seems hard. However, making new friends is not the hard part. You will notice you see the same faces at the Happy Hours. You will get to know a lot of people fast and you will easily make new friends. And when your hometown friends or family are coming over for a holiday you will have an amazing time together. How often do you go on a holiday with your friends or family? You will definitely have more quality time and make new unforgettable memories together. Hoi Sandra, ik werk hier in de makelaardij maar er zijn verschillende kansen hier. Er zijn altijd bedrijven op zoek naar goede mensen. Het is altijd wat gemakkelijker als je hier al bent om een baan te vinden. Mocht je vragen hebben over het emigreren laat het me maar weten. Mijn ouders denken aan verhuizen naar curaçao. Ik ben nu 16 jaar oud en zit in 4 havo. Hoe zijn de scholen daar? Hoi Cecilia, leuk hoor om hier te komen wonen, maar qua studie (vervolgopleiding) gaan de meeste studenten vaak naar het buitenland. Naar Nederland en Amerika. Wat wil je gaan studeren als je klaar bent met de HAVO? We hebben wel genoeg en leuke middelbare scholen. Ik hoop dat dit je vraag een beetje beantwoord. Hope you are well! I think if you are Dutch it shouldn’t be difficult, but I haven’t been in the situation before so can’t really tell. If you like to move and get help with citizenship and immigration I would recommend you to contact Inki at I for All. Her website is in Dutch but send her an email. She arranged all my paperwork and was a big help to me! 10 years ago when I moved here it wasn’t so much accepted as nowadays to be gay. There is a whole community involved in getting awareness and we even have a gay pride like in Holland. Hope this information helps! All the best, and hope to meet you here! Your post is very interesting to me. I am living in Spain, in Barcelona city, but really thinking to give up with everything here and move to Curaçao. 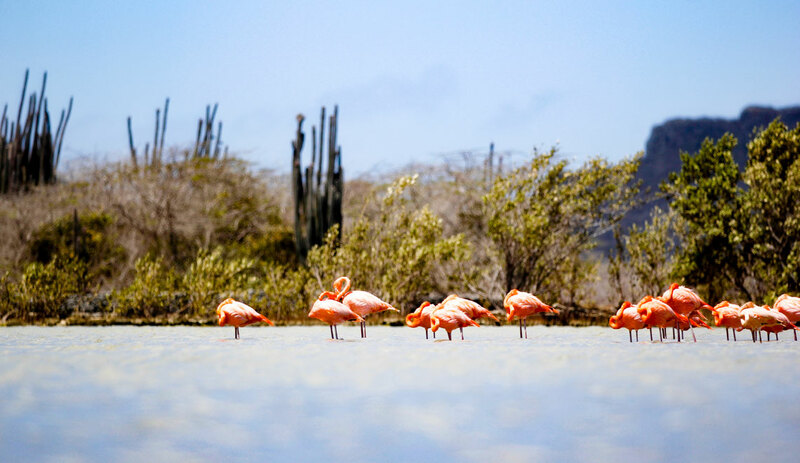 Most of the reasons why are stated in your post, I am a real freaky lover of sun and beach, and I am dreaming about living in an island as Curaçao, where there is such a stable climate and free of tropical storms and other “dangers”. I am Spanish, so from the European Community, but I do think it is not as easy as for a Dutch to move over there. Do you have any experience on that sense that may help me? Do you know someone who can help me or advise me? I will be visiting shortly the Dutch Consulate in Barcelona to see what they can do in order to inform me, but the experience is always a plus on that kind of things. Sorry to bother you so much with my troubles, but your post make it so tempting…. No problem at all, thank you for reaching out to me. When I relocated to the Caribbean I had to figure it all out on my own. It is hard to give up everything you know in the hopes of a better future. I came to see if I liked living here for a year and in the meantime, I am still here after 10 years. So it worked out well for me. But I have seen a lot of people coming and going. It isn’t for everyone. Your reasons you mention are going to be a struggle even if you live here. Travelling will get more complicated living on a small island. There aren’t many airlines and getting back and forth to visit family and friends will take you forever. But you already live where anyone else will go on a vacation. to make a decent living here you still will be working hard. And most of your spendings will be on the basics like groceries, water, and electricity. Because it is an island everything comes at a price which is much higher. And don’t get me started on the politics. It’s a mess here as well. Still I can recommend this lifestyle because you can go o the beach anytime you, please. It will be harder for you to move here but then again it isn’t impossible. There are many companies who can help you with the immigration process.I would recommend you to contact my friend Inki at I for All. Her website is in Dutch but send her an email. She arranged all my paperwork and can definitely be of a big help for you. She will make this process as easy as it can be! Hope this information helps! If you have any other questions just let me know. By the way, my little brother and his girlfriend live in Barcelona And if I can recommend a fun activity please read this article. All the best, and hope to meet you in paradise! I hate living here. If you are dutch and hang out only with dutch people from Holland , sure it is okay but mixing with most of the locals is a nightmare. They see most foreigners as intruders and customer service is terrible. Making friends will take quite a while unless you are retired or an intern. Do not expect Holland with sunshine. It is very different from Holland. If you like technology , efficiency and service and open minded people , you will find it difficult here. Also there are not many job opportunities so you cannot be too picky. It is better to be creative and entrepeunerial because even if you do find a job there are certain attitudes in the workplace that you will find here that are not acceptable in most developed countries. I recommend you try it before you make a full decision to move here. The grass is not always greener on the other side and no the sunshine does not always make up for it. Goodluck! We are from Canada, having both French and Canadian citizenship. We went two times to Curacao, for vacation, but we think it could be lots of opportunities there as the economy is growing, more and more tourists coming there, and we think it could be a great opportunity to start a business, I have actually a housekeeping company and my boyfriend is making French pastries and is managing employees. So my question is, is it easy to be a citizen of Curacao, and starting a business ?? What do I need to know ? We have different ideas for business, me maybe doing my own housekeeping company, my boyfriend, maybe starting a french pastries business… and few more, we saw many things in the island that could be done with the tourist industry… waht do you think ? Also is there any forum in English where I could find more answers ? Just reply me and if you want my email address, I could give it to you, thanks a lot for your reply. Hi Franck, Thank you for reaching out to mee. So sorry for the late reply. But I have been busy. Hope you are still pursuing your dreams to come to Curacao. I how I love french pastries! I would be a client of yours! We do have some bakeries on the island as well as housekeeping companies. I would advise being the company focussed on the better service and for the French pastries make sure to be on a touristic location. That would work. For starting a company and getting your citizenship, I would advise you to contact a friend of mine at “I for All”: http://iforallcuracao.com/en/ She can help you out with those questions. Thank you very much for your answer, it is just a project but we are thinking about it ! Hoi! heel leuke blogpost! ik ben nederlands (maar woon in zuid afrika) maar ben ook opzoek naar iets warmers! de winters hier zijn erg koud en ik ben meer van permanente zon en hitte! na jou artiekel klinkt Curacao helemaal geweldig! ben je ook op Aruba geweest? zo ja, zit er een groot verschil tussen de eilanden? Hoi Evie, sorry voor de late reactie. Wij hebben namelijk net de Caribbean ingeruild voor Portugal. Dus we zijn daar aan het settelen. Zuid Afrika lijkt me trouwens ook een droom om te wonen. Ja, ik heb ook op Aruba gewoont (wel een hele tijd terug) en ik ben er nog regelematig heen geweest voor werk, elke maand kwam ik er wel. Ik vind het een groot verschil tussen de eialnden. Waar Aruba meer Amerikaans georienteerd is is Curacao meer op Nederlanders georienteerd. Aruba is voornamelijk gefocust op toerisme, waarbij dat voor Curacao echt niet het voornaamste is. Ik heb het langste op Curacao gewoont en met heel veel plezier. Ik vind Curacao meer een ‘leef’ eiland, waarbij je eigenlijk niks zal missen aan wat je in Nederland gewend bent. Maar Aruba heeft meer het gevoel dat je leeft waar iedereen vakantie viert. Ik kan je alleen adviseren om ze beide te bezoeken en je gevoel te volgen. Curacao is erg ruw en heeft niet meteen het mooie wat Aruba wel heeft, dus neem er de tijd voor om het goed te vergelijken. Ik hoop dat dit wat helpt. In ieder geval heel veel succes met de keuze en laat me aub even weten wat het is geworden en waarom. Heel veel succes! Hello Suus, seems you’re no longer living in Curaçao but wondering if you might coment on the real estate market since I believe that was your field. Specifically wondering abou the residential market. It seems that prices have been stable for the past 5 years but I wonder about the forecast. Thanks! 10 years ago whilst doing a working stint on the cruise liner Zuiderdam one of my stops was Curacao i fell in love with the place. I have a product that lends itself to the captive audience, cruise line passangers, how difficult would it be as a South African citizen to get into Caracao bearing in mind what i bring with me would also include local job creation and huge export potential.